Beyond its placement in the gender politics of the moment, Sicario could also be championed as a mid-budget ($30 million) film released just outside the glut of Oscar season, and, hurrah, it actually found an audience, grossing $46m domestic, $80m worldwide. Underdog, thy name be Sicario. And then you actually watch Sicario and realize it deserves more than simply being reduced to a series of talking points about what it represents to the wider trends of the film business. 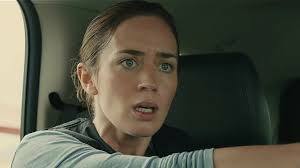 Yes, Sicario does have a female lead. 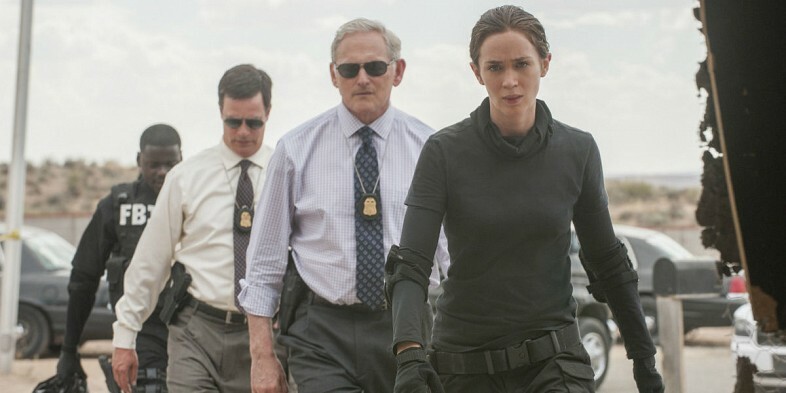 Emily Blunt plays a young, ambitious FBI agent recruited into a mysterious DEA task force that is attempting to put the squeeze on a specific drug cartel to brush a highly influential Mexican kingpin out into the open. As she proved when she pretty much stole Edge of Tomorrow from Tom Cruise, Blunt is more than capable of holding her own in the testosterone-fueled world of men, and her intense physical training to prepare for Sicario translates to remarkably toned arms and believable physicality. However, to describe this as an action film seems too simple (it’s more like a tense thriller with some action sequences), and if you think you’ve seen Blunt do this kind of thing before you’re wrong. Her’s is a surprisingly internal performance, as she’s effectively thrown to the land of the wolves and forever reaching for the facts which are being held from her at arms-length. We open the story with her encountering a horrifying scene during a FBI SWAT raid of a drug-related house in Arizona, which not only has dozens of corpses hidden in the walls but also an explosive device in the backyard. After it goes off, Blunt looks through the haze of smoke and notices the severed limbs of several of her fellow agents at her feet. However, it’s never that simple. The DEA group is cagey from the start with Blunt about what they’re actually up to, and she’s increasingly suspicious of the former prosecutor-turned consultant (Benicio Del Toro) who seems to know too much. It is not until the film’s final act that we actually find out what the DEA is really up to, learning it at the same moment Blunt’s character does. This structure translate to multiple masterfully tense sequences, particularly the prison transfer which concludes the first half of the film. The group has to cross the border to transfer a prisoner from Mexico to Arizona, but we don’t even know who the prisoner is. As an attempted ambush breaks out and shots are openly fired despite the presence of countless innocent civilians in the neighboring cars at the gridlocked American border, Blunt speaks for us, wondering aloud, “What are we doing?” It is a sequence which recalls the famous motorcade ambush in Clear and Present Danger, on a smaller scale. However, one of the many grace notes in this movie is that after the DEA makes their escape we hold the shot longer than you’d expect on the befuddled passengers exiting their cars to check on the corpses suddenly surrounding them. Similarly, there is a runner throughout the film of a series of scenes depicting a Mexican man and his son, going through their routine day in an unspecified location. It can be guessed we are glimpsing the life of the drug cartel king being targeted by the DEA (e.g., “Maybe he’s in hiding in some small hut somewhere?”) when in fact it’s actually in service to humanizing the average Mexican citizen invariably impacted by living in Cartel Land. It is an important distinction because rather than merely focusing on the apparent moral corruption of the nation’s law enforcers in the ongoing war on drugs Sicario also wants us to realize the human cost on the street level. If Sicario has a misstep it might be in its final act when the narrative switches from Blunt’s rude awakening to Del Toro’s crusade, although even then Villeneuve’s camera follows his actions with extreme expertise, i.e., gorgeously shot, perfectly edited, masterfully complemented by a minimal score. In the same year in which The Big Short reminded us that the wolves are still at the gate of the world economy, the impressively tense Sicario delivers a wake-up call about the living hell at the Arizona-Mexico border without slipping into Hollywood moralizing or ultimately false happy endings. Emily Blunt and Benicio Del Toro’s performances are exactly as good as you’ve probably heard, and Sicario is deserving of its placement on the countless Best Movies of 2015 lists it ended up on.